Brochures have poised themselves as the latest favorite tool which effectively hits marketing bullseye to the maximum. Like several other industries across the world, coffee brands have also tried and tested the brochure formula and have tasted good success. If you’re in the coffee industry and need to ramp up your sales and increase brand visibility, we’d push you to grab a brochure template and develop a coffee brochure for your company. 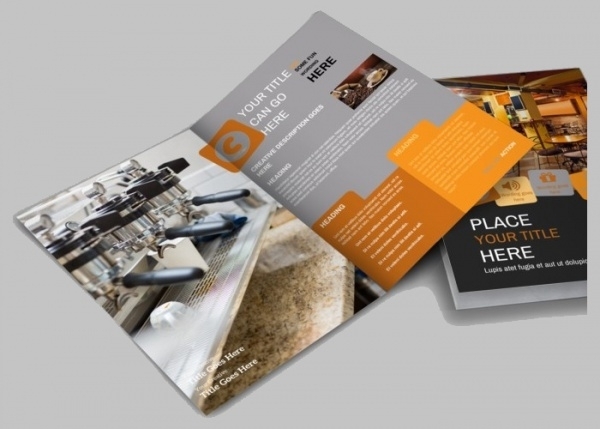 If you want ideas or latest readymade coffee brochure templates then this is the article for you! 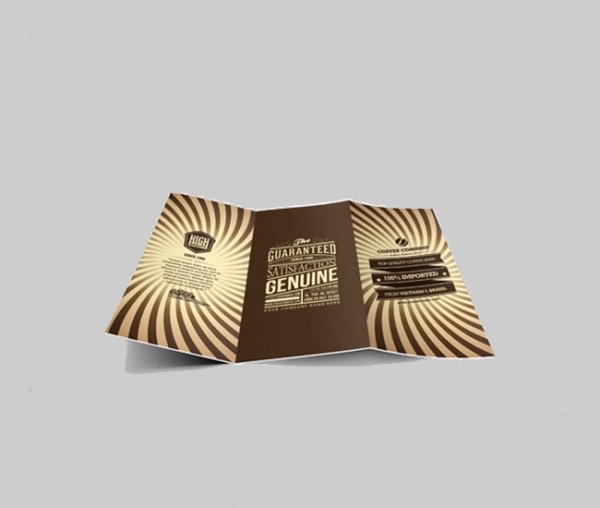 We have got a collection of the latest brewing Bifold Brochure designs for your coffee brand. With a color scheme featuring all of the lovely coffee browns, this is brochure template that’s hard to miss and even harder to put down! 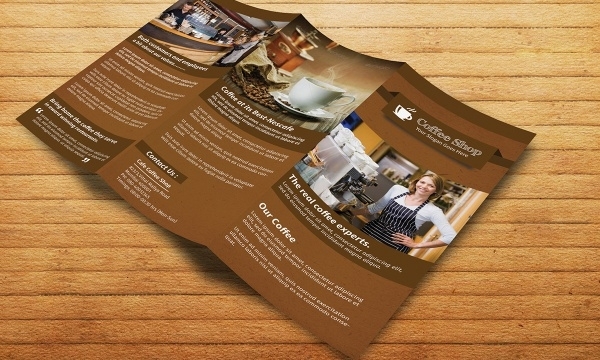 The coffee shop brochure has all the features and allows all kinds of edits to let you create a stunning brochure for your brand. 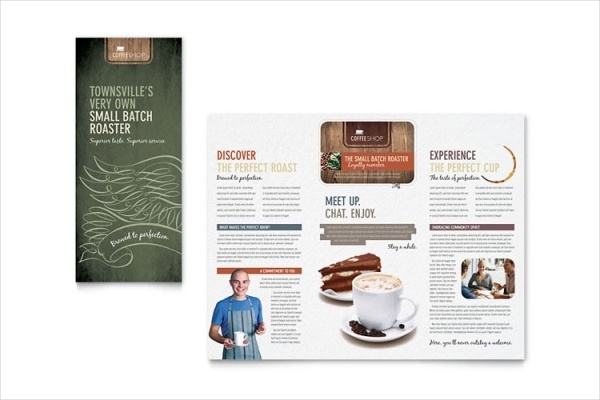 Whether you run a specialized coffee shop or own a restaurant that serves lots of flavorful coffees, this tri-fold brochure template gives you all the options to create a brochure and market your brand in a great manner. 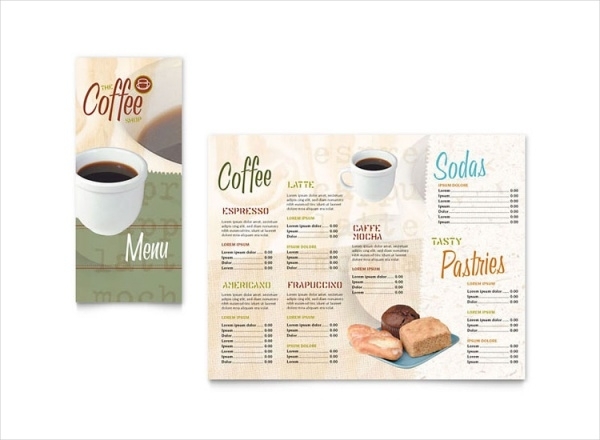 The particular coffee brochure template design has been crafted specifically for corporate and small scale companies. You can use this brochure template for designing brochures that can be used for in-house and offsite marketing. 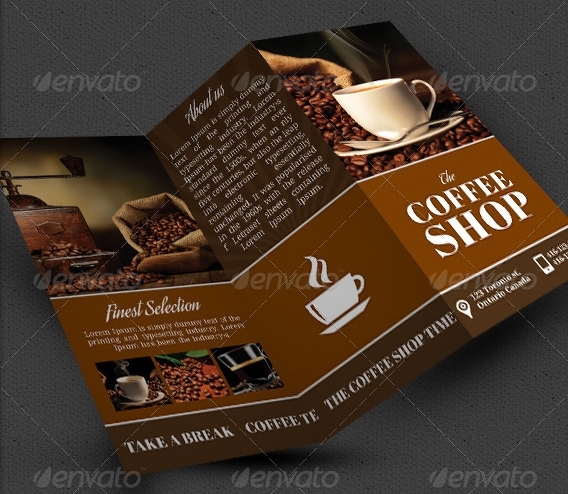 Serve up the flavors of your coffees in an innovative way by packing them up in this wonderful tri-fold coffee shop brochure template. This template contains customizable PSD files wherein you can revise the elements; insert your own text and images. 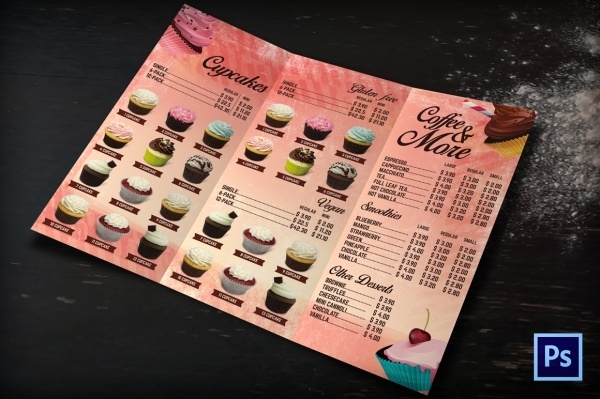 Dish out your Patisserie and coffee specialties in the most unique way by putting them together in this creatively design brochure template. This template is very ideal for branding purposes. If you want to showcase your coffees in an old-school style, then this retro coffee brochure template is just what you need. Measuring 21×29.7cm, this template comes with customizable, print-ready files. Use this attractive bi-fold coffee shop brochure template to design most suitable brochure for your coffee shop brand. The template comes packed with high-resolution editable files which you can retouch to make brochure of your choice. 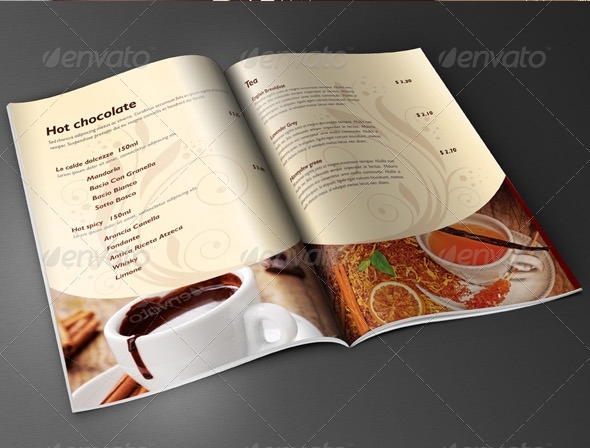 This is high quality brochure template which is perfect for putting together a coffee shop or restaurant menu brochure. You can revise and personalize the elements in the template as all the files are editable. 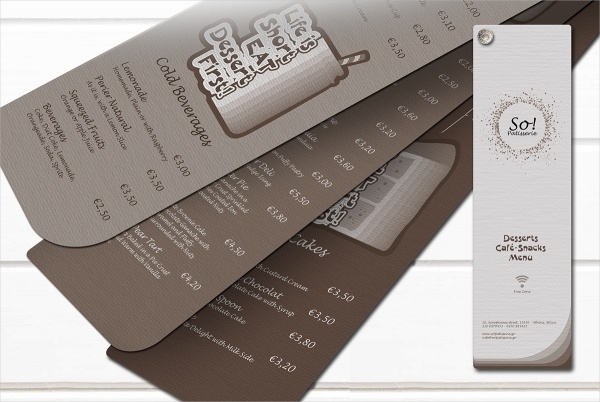 This tri-fold brochure template would be a perfect pick to design and feature the menu specialties of a bakery café. The template comes with editable files and all graphics are included. Select this coffee shop brochure template and create a brochure for your beverage brand which is at par with the market standards. You can rework the elements in the template according to your preferences. With so much variety of coffee shop brochures on display, undoubtedly you’d be in a dilemma. That’s exactly what happens when you have a lineup featuring the best brochures of the day. Whichever brochure template you choose, your customers will not just get a glimpse of the coffee, they might as well catch the smell of it too!